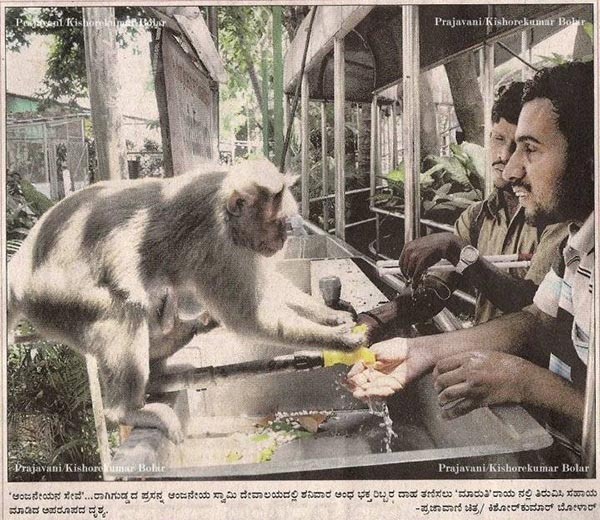 It was mentioned in the email that 2 blind persons wanted to drink water at the RagiGudda temple, Bangalore, India. When they were unable to operate the tap, this mother monkey opened the tap for them, allowed them to drink water, drank some water herself and then closed the tap before leaving the scene. So touching - few humans here in the West would do the same! btw in answer to yr query about the convertible dress I featured, it costs I believe about 300 pounds sterling. So quite pricey! Similar but a bit cheaper (& apparently popular for wedding bridesmaids of different sizes)is a wrap-around jersey dress for 200 pounds in 18 colors (& 15 different styles)by Twobirdsbridesmaid.com! @ Nora Johnson: Really? Nice new thing to know. And thanks so much about explaining about my query about that dressing. I really appreciate you taking out time and explaining.